Looking for an elf on the shelf alternative? Invite the Roaming Reindeer into your house this holiday season and encourage good behaviour and fun. I was sent a kit to take a look at and share with you. 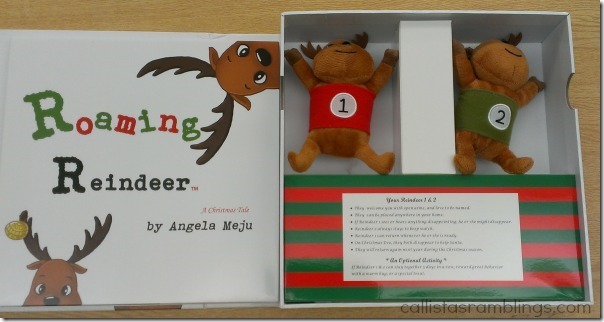 Roaming Reindeer is a book and twin plush reindeer set that helps build teamwork. The story talks about Gus and Sam, two of Santa’s reindeer who decide to help Santa by visiting children around the world and report back on who is naughty or nice. When they realize they don’t have enough time to visit all the children, they call on their friends for help. The reindeers are sent off in pairs of two and are assigned a home to visit. Reindeer 1 is in charge of going back to Santa to report naughty children while Reindeer 2 stays to keep watch. 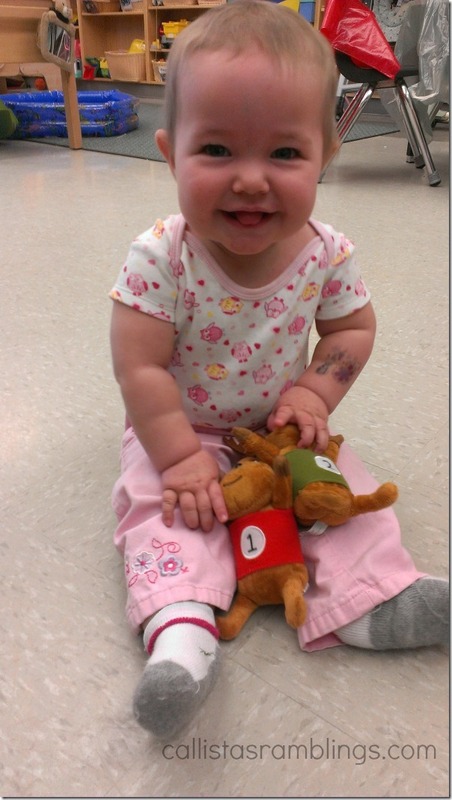 As I said the book comes with two plush reindeer labeled 1 and 2. Read the story with your children, introduce the reindeer and have them name them! Give them a spot of honour where they can properly watch over the children and do their job. If your children aren’t on their best behaviour, reindeer 1 will go away to talk to Santa and won’t come back until reindeer 2 sees better behaviour. Use the reindeer as a fun activity to encourage teamwork but don’t make it about Santa but more as a reminder. Allow the children to take turns moving the reindeer to different parts of your home to ensure the whole house is being watched. If you will be travelling for the holidays, leave one at your house and take the other one with you so that if Santa is mistaken and ends up at your house, that reindeer can direct him where you are staying and the reindeer with you can make sure he finds it. If you prefer not to focus on naughty vs. nice, reward good behavior by allowing a child who demonstrates it to hold one of the reindeer for a time. Perhaps even have whoever is holding the reindeer watch for someone else in the house to do something nice and pass the reindeer on to them. Don’t worry about reindeer 1 leaving, just leave up the pair in a prominent place as a reminder to the household that this is a season of joy and to get along. I bet you could think of more! Visit the Roaming Reindeer website for more on the product and to order. They can ship to US, Canada and the UK and shipping is included in the price for US orders ($34.95). Also connect on Facebook.